The cTrader platform, designed for Forex traders, is an insightful and precise, and user-friendly platform designed by Spotware. It offers top-level liquidity and a vigorous trading structure into the platform, with a fast and smart ECN connection. A fast ECN connection is what gives clients the edge when they compete in a cut throat Forex environment. When you talk about Forex trading, timing is absolutely essential. A successful trade is only guaranteed if you’re fast and calculating. Spotware cTrader is an innovative platform that helps to fill in trade order in a matter of seconds. Moreover, with cTrader, you can easily and very quickly process all your orders simultaneously. Another advantage of using cTrader is its ability to identify and display a variety of different executable prices straight from the liquidity providers. Using the VWAP (Volume Weighted Average Price), you can conveniently fill in all your orders using your trade book. The charting feature of the platform boasts a number of different options for you to use while trading in the Forex market. For example, you can use a variety of different presentation options, view information in any layout you want and alter any template you want. Another great benefit of the platform is it makes your trading experience a lot simpler. Using the platform’s interactive click and drag feature you can choose to open and close all your trade orders. Plus you can customize your own stop losses, calculate profits and minimize your orders. You’d be surprised to know that cTrader provides you with all the customizable trading tools that guarantee a precise technical evaluation of all your trades. 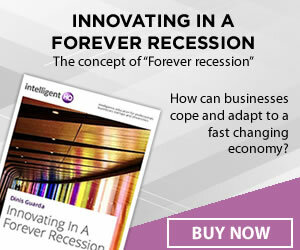 This may include factors such as common trade trends, oscillators, volatility analysis and line drawings. Additionally, via cPanel you will more easily be able to plot different objects and trade indicators. Traders using cTrader can easily familiarize themselves with the algorithmic infrastructure which will help them develop their own indicators. In other words, cTrader offers the option for easily customizing your indicators for both manual and automatic trading. Developers can also designate different parameters and graphical integrations for different indicators. The ‘Favorites’ option in cTrader allows traders to bookmark their most desired currency pairs allowing them to conveniently access those pairs anytime they want. 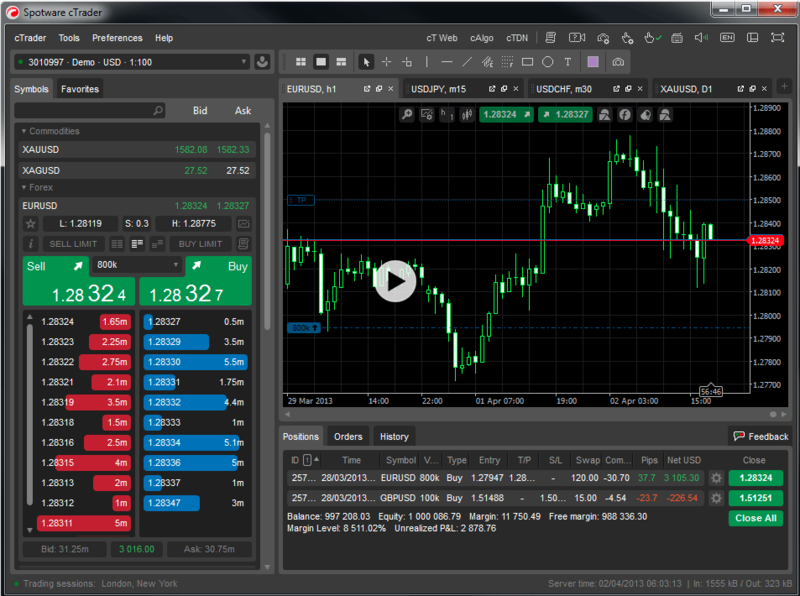 The QuickTrade feature allows you to quickly access different trading charts. Combine this with the platform’s fast executions and you have a powerful tool helping you any fast trading market. Spotware’s cTrader allows traders to maintain an unlimited number of accounts. You can even designate each account with your preferred currency. Switching accounts is fast and easy. cTrader takes into account different feedbacks, especially when developers decided to launch new products. Now, as a trader using cTrader you will be able to directly control the dynamics of your trades using your account at cTrader. The feedback process is relatively easy and just by clicking the feedback tab on the platform you will be able to offer your suggestions and queries pertaining to any aspect you deem necessary on the platform. Upon completing your feedback, you will see that the process of launching feedback is automated and takes no time at all. Using Spotware’s cTrader, you will see that developing newer charting templates becomes easier. Furthermore, your templates are shared on cAlgo which means you will encounter zero problems upon switching templates between automated and manual trading. When trading, the element of knowing which markets are open for trading around the world is critical. This way, you can optimize your trading strategies to determine a more favorable outcome. cTrader’s trading sessions give you an edge by instantaneously notifying you which markets are in session around the globe. Although cAlgo and cTrader are two different trading platforms Spotware’s developers have provided with an easy way to integrate the use of both platforms simultaneously. This way, traders can streamline their strategies and switch between manual and algorithmic trading easily. Each chart on cTrader is designed to be separable, which means it can act as an impartial trading application on your desktop, allowing you to use options in full screen. The cTrader platform is tailored for Forex traders that need to make quick trades with customizable options and features. Plus, with a user-friendly interface, you can even trade on the go, using the platform on your mobile device. 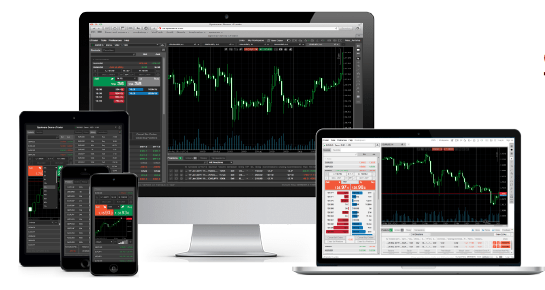 All in all, there are few brilliantly designed Forex trading platforms and Spotware Systems’ cTrader is one of them.